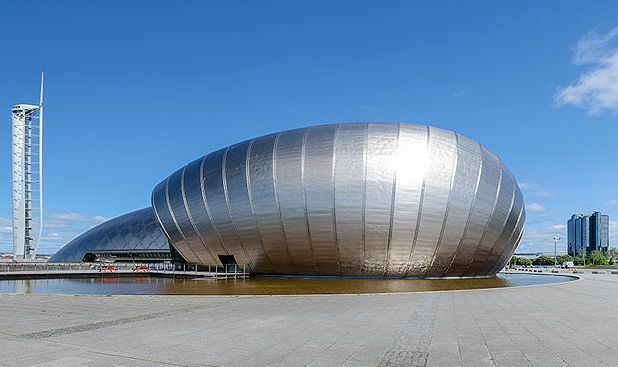 Cineworld is set to open a new IMAX theatre in partnership with the Glasgow Science Centre. Look forward to a fully immersive filmgoing experience on Scotland’s largest cinema screen. Having invested heavily into the use of laser technology, IMAX are looking to establish a new standard as the industry’s premium movie-going experience .The timing of this couldn’t be much better, as the winter film release calendar contains more than a few offerings that will undoubtedly excel in the IMAX format. Here’s a profile of the films that will be screened over the next few months. The anticipation has been steadily rising for director Alfonso Cuaron’s latest work since the extremely impressive Children of Men, the comparisons with 2001: A Space Odyssey giving an indication that we could be set for the unveiling of this generation’s sci-fi masterpiece. The film takes us on a journey with an increasingly impressive Sandra Bullock playing a medical engineer and George Clooney as a veteran astronaut drifting through space after a calamity while repairing a space station. You can’t hear them scream in space, but by combining the IMAX experience as well as the aesthetically stunning vision Cuaron had for his latest project, you will at least see the fear in their eyes. Based on the true story of the 2009 hijacking of the U.S. container ship Maersk Alabama by a crew of Somali pirates, Tom Hanks plays the eponymous role of the ship’s Captain. The focus is mainly on the relationship of Phillips and his Somali counterpart, Muse. Forced into a situation created by globalization and the human cost it entails, both men are forced to make decisions to protect themselves and their respective crews. Bourne director Paul Greengrass has experience with such delicate subject matter having directed the sometimes overlooked United 93. With Greengrass at the helm rest assured that while you will feel like you are sailing in the Indian Ocean you won’t feel all at sea. After years of production issues there is finally a release date for this long awaited adaptation of Orson Scott Card’s best-selling novel of the same name. Set in the not too distant future, Earth has been attacked by a sentient alien species known as ‘The Formics’. In response, Colonel Graff (Harrison Ford), is charged with the task of training the planets best and brightest young minds in order to launch a military response. Ender, played by rising star Asa Butterworth, quickly establishes himself as the best hope to command the assault on the Formics and protect our species. Having tried to stay faithful to the original text, director Gavin Hood's movie features a recreation of the Battle Room from the novel, where the recruits train in military tactics. Given the freedom and dynamism that the IMAX system provides to create such landscapes expect this film to be a visceral treat. Director Peter Jackson takes up his by now familiar seat behind the camera for his second film in The Hobbit trilogy. Having escaped the treacherous Misty Mountains, Thorin and the rest of the dwarves continue on their journey without Gandalf the Grey who has his own personal quest that leads him to the south. Bilbo, with The One Ring now firmly in his possession must also journey in order to take the golden bounty from The Dragon, Smaug. After the first offering in this trilogy was released to generally positive albeit it slightly muted reviews, Jackson will be looking to create some momentum for the remaining films in similar fashion to his work on Lord Of The Rings. Given the incredible imagination of the original text combined with the technology at hand to create entire worlds on film available, let’s hope that Jackson can put his magic touch on his latest adventure. The Hunger Games franchise returns this winter as well with its own sequel for those of you who like your Battle Royale sans subtitles. A few things are different this time around, I Am Legend director Francis Lawrence replaces Gary Ross at the helm and Jennifer Lawrence returns as an Academy Award-winning actress. The film picks up after the first installment with Katniss and Peeta having emerged from the Hunger Games victorious. However, the former has become the symbol for a growing sense of rebellion amongst the poorer districts in their society. With the tension simmering away, the plans for the 75th Annual Hunger Games are underway and it seems as though The Capitol remains very much in charge. As with some of the other films mentioned, there is the opportunity to push the envelope somewhat and create expansive new worlds for this instalment, and if Lawrence can keep the high energy from the first Hunger Games then there is every chance Catching Fire could be one of the hits of the winter.